The launch of the 2012 Tata Nano definitely seems to have worked wonders for Tata Motors. November has been a month which has proved to be a huge struggle for most of the car manufacturers as the market recorded less numbers owing to increase in fuel prices and lending rates. Tata Motors seems to be unflustered by these developments, with the comeback of the Tata Nano changing its fortunes. The vehicle registered sales of 6,401 units just in November itself. The hard work put in by the auto major in revamping the Tata Nano seems to be reaping rich rewards for them. Indeed, the new version of the Tata Nano has been given a huge makeover compared to its erstwhile model. Both the exteriors as well as the interiors have received positive changes. Added to this, there has been an improvement given to the engine, which has enabled it to register better figures, in both torque and power. The maximum power the Tata Nano registers now is 38Bhp and its peak torque is 51Nm – both figures are a significant improvement. The fuel economy aspect has also been enhanced with the vehicle now offering 25.4km/liter as against 23.6km/liter of the previous model. Refinement of the engine has also been achieved and the grumbling noise that came out of it in the past seems to have been done away with. Tata Motor has to be credited for identifying the market sentiments and coming out with this revamped model, as a result of the same. 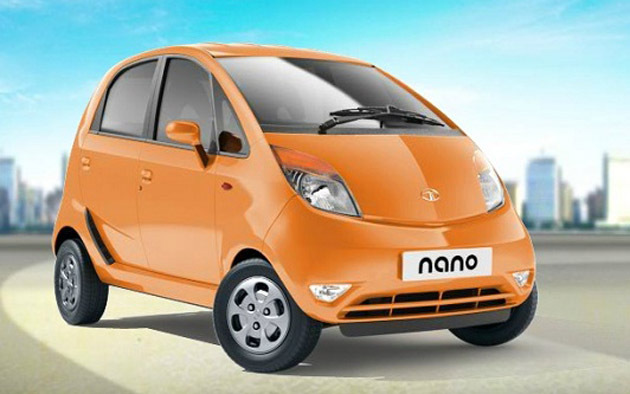 Just one year back, the Nano was being made subject to criticism as it started recording a big dip in its sales figures. Just last year in November, the vehicle sales had drastically dropped with a mere 509 units sold. Before this revamp took place, Tata Motors, after a lot of deliberation, had come out with a number of attractive offers for boosting their sales. The Tata Nano had been given either a 4-year warranty or a warranty till the 60,000km mark has been reached. The company also offered the car with no down payment keeping monthly payments as low as Rs.99. All this was done to help recover the costs of production but could contribute very little towards improving the sales. Things are finally back on track with the revamped Tata Nano being welcomed with open arms by the consumers. Tata Motors is now hoping that they will be able to recreate the same magic with its Tata Indica V2.